Ventilation Services - Riddle Heating & A/C, Inc. When it comes to the health and comfort of your home or business, indoor air quality is a crucial factor. Ventilation encourages cleaner, fresher air throughout your space so you can experience greater comfort and easier breathing no matter what the temperature inside or out. Whether you are looking for a new ventilation solution or wanting to upgrade your existing ventilation at home, Riddle Heating & Air has the experience to provide you the best solution to your needs. 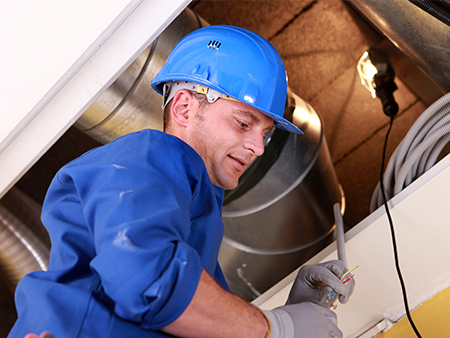 We offer various ventilation services for different parts of your home such as the bathroom, kitchen, attic, crawl space, wall and more. For questions about home ventilation, call us for in-home estimate and inspection.